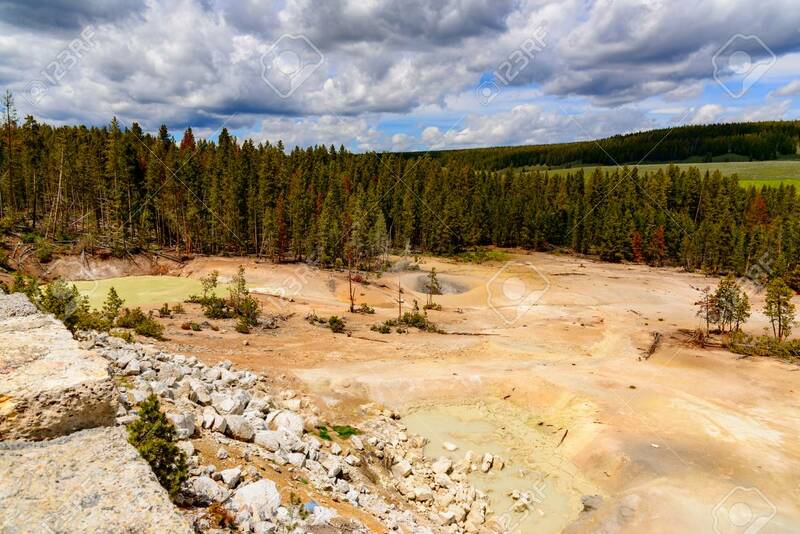 Immagini Stock - Along The Yellowstone River Lie Mud Volcanoes And Sulfur Caldron Are Mainly Pots Of Mud And Fumaroles Because The Area Is Located On A Perched Water System With Little Water Available. Image 106235714. Archivio Fotografico - Along the Yellowstone River lie mud volcanoes and sulfur Caldron are mainly pots of mud and fumaroles because the area is located on a perched water system with little water available. Along the Yellowstone River lie mud volcanoes and sulfur Caldron are mainly pots of mud and fumaroles because the area is located on a perched water system with little water available.